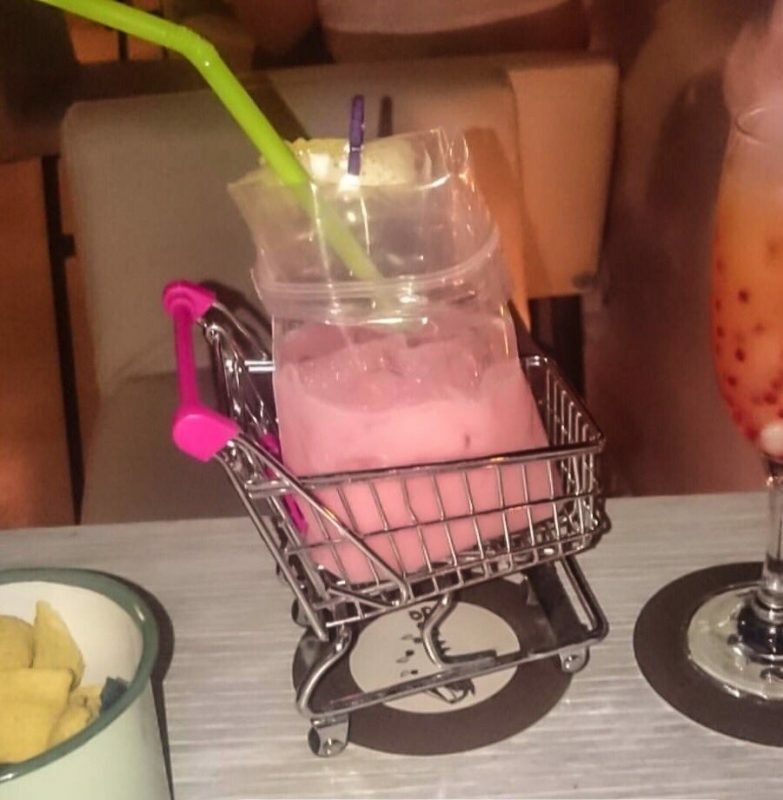 NEW COCKTAIL: Overpriced Bag Of Pink Goop In A Shopping Trolley. Fifteen quid. No you can’t keep the trolley.